Government loan programs are available with finance options for refinance or purchase. The Federal Housing Administration ensures a fixed rate and is often recommended for first time house buyers. Learn How to Find the Best Home Mortgage Offer with No obligation. Start shopping loans in 30 seconds with one simple quick and easy form. Check Interest Rates and get a free personal quote for refinancing, 2nd mortgages, house buying loans or home equity credit lines. The President and Congress came together earlier this year to not only extend the Home Affordable Refinance, but to upgrade the guidelines so that equity is completely taken out of the approval equation. The HARP 2.0 enables homeowners who have underwater mortgages to refinance regardless of their "loan to value." Our HARP lenders can help determine if your mortgage is held by Fannie or Freddie and whether or not it meets the eligibility requirements. Now you are encouraged to compare offers for home mortgages that were created to replace negative-am 1st mortgage payments with a fixed simple interest rate solution! Replace the teaser loan before the index and rate adjust. See if You Qualify to Get Lower Mortgage Payments with Fixed Interest! Nationwide Mortgages is committed to finding a lender for you that can help maximize your house financing. It is important that you manage your home's equity effectively. We can help you compare quotes from some of the most respected home refinancing leaders in the nation. You can get access to some of the most popular loan programs whether you are a 1st time home-buyer or the experienced home-buying veteran. Our home equity programs have expanded to meet your personal loan parameters. Get the latest mortgage news online. Homeowners should take advantage of exceptional home purchase or refinance loans from Nationwide. The FHA guidelines for loans reflect some pretty significant changes. The cash out refinance loan is now limited to 85% LTV and the FHA home purchase loan now requires a 3.5% down-payment. The revisions on the conventional home mortgage apply to both stand alone and comb-refinance loans. See your loan consultant for updated purchase product information. Nationwide Mortgages has partnered with the some of the most respected mortgage lenders in the business. Submit your Loan Request for Free! Nationwide automates the responsibility of the home mortgage lending process. Meet the lenders that work with underwriting and appraisal dept. Talk to loan representative that manage the title and escrow process. This allows you to sit back, relax and find something else to do with your time. We connect consumers with home mortgage companies keep you updated, every step of the loan process. Check our blog online for emerging refinance and home loan products. Here you will also find worthy articles and updated guidelines from our underwriters and investors. When the latest loan products come out, we will make sure that you are the first to consider the new loan options. Get help and home mortgage advice from lenders that you can bank on. Find out if these new home loan programs have any significance to your finances. A few mortgage lenders expanded their equity lending guidelines for home refinance and second mortgage loans. If you have bad credit, with low credit scores, we suggest that you revisit our sub-prime equity loan programs. If you have credit scores under 600, let your loan officer know you would like to look at our VA home loans, hard money refinancing and FHA loan options. With the loan programs designed for people with damaged credit it is very important that you have the ability to document your income. If you have enough equity with good credentials you may qualify! Compare programs like: FHA refinance loans and hard money refinancing for people with limited and bad credit. You can take out a home equity loan behind a VA or FHA 1st mortgage even if you have been rejected by other lenders. If your credit scores and income meet our lending requirements then you will be granted access to applicable refinancing options. Learn more about the Home Affordable Refinance Program that enables borrowers a rate and term refinance with no equity if they have a Fannie Mae or Freddie Mac mortgage under $417,000. The HARP mortgage is for borrowers that have conforming Fannie Mae or Freddie Mac mortgages less than $417,000 and is for rate and term refinancing only. No debt consolidation is available with this option. Take advantage of the attractive home mortgage rate offers and enjoy potential monthly savings. Welcome to Nationwide Mortgages, an online marketplace for consumers to shop home loans for all credit types offered by competitive mortgage companies and lenders across the country. For the last fifteen years we have been helping people find trusted mortgage lenders that meet their needs with a wide variety of home loan programs to choose from. Consumers can compare terms on home equity loans, refinancing and house buying loans whether you have good or bad credit. Now is a great time to shop home mortgages for cash out, debt consolidation and refinancing. So, take a deep breath and sit back and shop financing solutions online with no hassles. Nationwide Mortgages has automated the home loan process with no cost to apply, so you can review offers from competitive lenders and brokers in the U.S.
Over the years, we have built good relationships with lenders that offer viable home mortgages. We pair people with loan companies that offer traditional, government and subprime mortgages. There is still a great opportunity for consumers to acquire home mortgage loans with fixed rates that could lead to more affordable housing solutions. We can customize your financing experience online enabling you to choose the most competitive loan program for your home buying and refinancing needs. Let our mortgage lenders help you qualify for a home loan with the most competitive interest rate today. Choose Nationwide Mortgages for FHA refinance, bill consolidation, 30-year fixed rate, interest only mortgages or negative amortization. 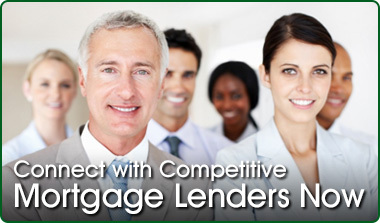 Our mortgage lenders remain leaders for refinance, mortgage debt and home purchase loan transactions online. If you have a low fico score from Experian, Trans Union or Equifax, consider a home loan for bad credit with no hidden fees or pre-payment penalties. Second mortgages have been difficult to find in the last few years, but more and more lenders are starting to bring them back as cash out alternatives to home refinance loans and home equity mortgages. Second mortgages have been difficult to find in the last few years, but more and more lenders are starting to bring them back as cash out alternatives to home refinance loans, home equity loan refinancing and FHA home loans. If you have any affiliation with the military, a VA FHA is recommended for delinquent homeowners with poor credit scores seeking refinance options for their adjustable rate mortgages or bad credit home loans. Get matched with competitive lenders that are always keeping up with times in an effort to meet the growing needs of homeowners in this struggling economy. Many of the companies that offered Hope for Homeowners, the popular FHA refinance program have rolled out a few products that help people with poor credit secure a lower monthly payment with a fixed amortization between 15 and 30-years. Nobody likes being turned down for mortgage refinancing or debt consolidation loans but millions of people have received credit denials so you are not alone. Bad credit mortgage lenders do offer some unique refinance loans for borrowers with damaged credit, but not everyone will be approved for a refinance mortgage. We do not offer loan modification or unsecured debt settlement. There are several government endorsed foreclosure prevention options that provide unique refinancing to help borrowers keep their properties. 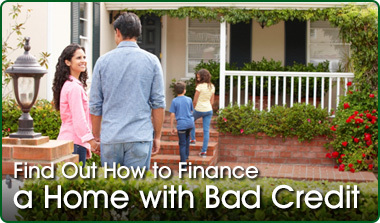 Find bad credit home loans with easy requirements from FHA. Nationwide lenders provide competitive home loan products with second mortgages, refinance, debt consolidation, new home financing, FHA refinancing, hard money, jumbo and equity loans for homeowners with a complete range of credit types. Compare interest rates online and benefit from working with lending professionals. Loan guidelines changed recently for 125% second mortgages, so ask your lender about a viable no equity loan replacement that is available in your state. We keep you updated with mortgage loan news, home equity advice and information about your loan in process. Get a free government loan quote from experienced government home lenders who provide loans for people with lower credit scores. Underwriting approvals were reduced to 24 hours for most of the 2nd mortgage and home loan products from lending companies that you can trust. 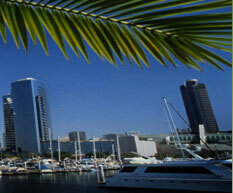 We provide No Cost Home Loan Quotes in all 50 States. There is never any application fee or any obligation for researching rates or home refinance loan programs. We applaud homeowners that are leveraging debt with a tax-deductible home equity loan, refinance mortgages or conventional home refinancing. If you have unsecured debt, you owe it to yourself to find out if one of these loans would save you money. Lock into a fixed rate refinance loan or consolidate some bills with one of our popular second mortgages. 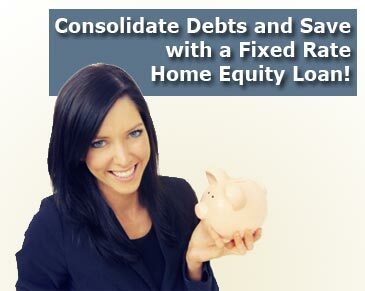 Analyze your home financing options and cash in on your home equity. We can help you finance home improvements, college or vacation. If you want to keep it simple, we'll simply lower your payments with our competitive lending products. Are you searching for online mortgage and refinance programs approvals as fast as 10 minutes? In many instances, people are able to see home loan pre-approvals in less than 1 hour. If you need a pre-approved mortgage letter, we can help deliver lenders that will work with your agent, escrow or even the seller. Whether you are searching for a fixed second mortgage loan, or a low teaser rate home refinance, Nationwide Mortgages can introduce you to lenders that may have the loan solution for you. We offer home mortgages with credit types ranging from bad to excellent. Many of our preferred lenders have begun to offer FHA and VA loans that give people with poor credit another chance to rebuild credit and the mortgage rates are unusually low at this time. 2nd mortgage guidelines have changed dramatically this year because of the foreclosure and mortgage crisis. Since the loan products vary so greatly it is best to speak with a loan officer so you can look at other available cash refinancing opportunities. What Are the HELOC Loan Rates Today? Talk with Home Equity Lenders about some of the recently enhanced 2nd mortgage products that have been helping homeowners get quicker access to cash. With more flexible underwriting and loan guidelines that allow lower credit scores, now is the time to get a free quote. 125 loans as no equity 2nd's are on hold since the mortgage melt-down. 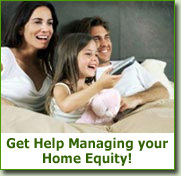 Ask home equity lenders about current equity and LTV requirements. Home mortgage refinancing is now available - 580 to 760 Credit Scores for qualifying loan applicants borrowing on primary residence. qualified loan applicants with primary residence. Get a No Cost Home Loan Analysis from Lenders that Understand the Market and Your Needs. Nationwide Mortgages has been able to stay ahead of the lending curve with home mortgages and equity loans that have performed in the marketplace with very minimal payment defaults over the years. Our lending services proudly offer new FHA and VA loan programs to ensure the most affordable rates online. Nationwide lenders have been able to balance the home loan portfolios because we evaluate more than just a credit reports. We evaluate borrower’s one loan at a time and this enables us to examine compensating loan factors that help many homeowners with bad credit get qualified for a home mortgage that improves their financial state. Does Credit Repair Help People Get a Mortgage Approval When Trying to Buy a Home? The mortgage industry is experiencing a countrywide credit crunch that has tightened the guidelines for most other mortgage lenders, but Nationwide Mortgages is always working with crusading financial institutions that find ways to release new home equity and mortgage refinance programs to the consumers who need it most. Lenders at Nationwide will continue to take these credit challenges so that you can find home loan rates that are more affordable. We strive to make your finances better with additional savings from lower mortgage payments. Borrowers with a military background continue to benefit from the flexibility that the VA home loans offer with 100% financing. VA mortgages require no down-payment and the streamline allows borrowers to refinance up to 100% with no income documentation required. Learn How to Finance a New Home with 3.5% Down! FHA loan products continue to dominate the mortgage programs for lenders and mortgage brokers. These government home loan choices can be used for refinance or home-buying. FHA interest rates dropped to record levels last year and many predict that FHA mortgage loans will dominate the lending options. First time homebuyers benefit from minimal down-payment requirements and flexible FHA credit guidelines. FHA may be the last bad credit mortgage loan because the subprime financing alternatives have disappeared. We can help you determine what you need before spending time to apply for a FHA loan. FHA Mortgage Rates are fixed for 15 or 30 years! Low Down Payment New House Loans Insured by the FHA with only 3.5% Needed. FHA Loans for 1 Year after Foreclosure, Bankruptcies and Short Sales. FHA First Time Home Buyer Loans for People with Bad Credit or Employment Gaps. Talk to multiple FHA lenders for standards, requirements and more. Lock into a Fixed Rate Home Mortgage with No Penalty for Refinancing or Early Pay-Off! Nationwide provides free home loan analysis for first time homebuyers and experienced homeowners seeking a low rate for purchase or home mortgage refinancing. Reap the benefits of our free services that match you with the most competitive home loan lenders that suit your needs and qualifications. Borrowers keep coming back to Nationwide because of our great home refinance rates and superior customer service. With house values rising again, you can expect to see new loan programs with private money refinancing, home equity credit lines and purchasing money opportunities. Get Free Financing Advice from our Loan Department with our Live Transfer that connects you to mortgage professionals instantly. Get answers to you financial questions. Whether you want to discuss loan programs, mortgage interest rates or just need more assistance understanding mortgage terms like refinance, second mortgage, home equity, home purchase, interest only, cash out, debt consolidation, FHA or conventional mortgages. Check out of the recent expanded loan programs for House Buying, Refinancing or getting a second mortgage. * FHA Home Loans for Poor Credit Scores as Low as 500. Read More About the new FHA loan programs with raised loan limits that vary from state to state. This government loan program is great for first time home buyers as well as home refinancing. Find out if you qualify for the FHA refinance with low rate fixed for 30-years! Do not allow credit problems from your past steer you away from many of the new home financing options. Home refinancing or adding a second mortgage can help your credit rebound and will often increase your credit scores with timely payments. Not only can we help you finance your second home...Nationwide Mortgages can help you find the right lender for an investment property loan, so you enjoy the rewards of a rental income property. If your mortgage payment is rising from your variable rate ARM, take action and refinance into a fixed rate loan. Combine all your mortgages together into a fixed rate first mortgage. The government improved their mortgage relief products. The FHASecure and the Hope for Homeowners did not help as many people out as HUD had hoped so they worked hard to improve Home Loans from FHA were created so that more Americans could qualify for a lower monthly payment. If you have a second mortgage or equity credit line, we believe you will save a lot of money by refinancing the 2nd lien into your first mortgage. 30-year 1st mortgage rates have never been better, so call now and learn how to lock secure home loans from a competitive lender! Mortgage refinance loans are not created equal. FHA home mortgages do not require as much home equity as conventional lenders demand. 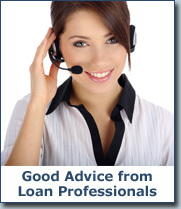 Let our loan officers help you with lending guidelines, loan limits and more. Stay up to speed on loans for new house buyers. You can also check our blog for news and HUD policies for FHA financing. Need Refinance Help or Quick Cash? With interest rates at all-time lows, now is the optimal time for refinancing a mortgage. Even if you were stuck with a home mortgage because of a poor credit score, consider some of the updated subprime, military and FHA options for house refinancing that have been saving people money all year. As property values rebound, more of our trusted lenders have rolled out new home equity programs with attractive rates and endless possibilities. Having quick access to cheap money is a huge privilege for homeowners in this great country.